SonyBMG Masterworks is a record label. It is the result of a "restructuring" of Sony BMG Music Entertainment's classical music division. 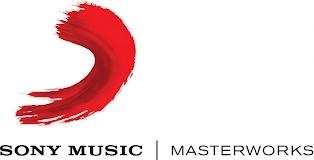 Its formation marked the merger of the Sony Classical and BMG Classics (including RCA Red Seal) product lines. Gilbert Hetherwick is the president of the label, displacing Peter Gelb who was the head of Sony Classical before the merger. Hetherwick claimed (as of 2005) the label may reissue between one hundred and two hundred historical recordings per year. The label owns rights to recordings dating from the 20th century and late 19th century, including ones featuring Fritz Reiner, Arthur Rubinstein, Jascha Heifetz, and Pl?cido Domingo, as well as from more recent performers such as Yo-Yo Ma and Joshua Bell. Tina Guo : Game On!